The internet has changed quite a bit since it was first introduced in the late 1980s and early 1990s. Today, the internet connects people all around the world, and it’s changed how they conduct daily activities such as shopping and communicating with one another. It’s also changed the way business is carried out. Being online is almost non-negotiable for a business in this day and age. An online presence is a must. Your customers must be able to find you. Search engine optimization, or SEO, is the art and science of optimizing your website for discovery through search. SEO helps you become more visible to your customers and potential leads when they use search engines to find information. Like everything else, however, SEO is continuously evolving. The way SEO was conducted in 2008 is most definitely not how you’d want to go about conducting SEO activities today. 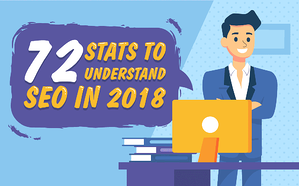 SEO in 2018 is even different from the way it was in 2017, as these 72 statistics demonstrate. Like everything in technology, search engines are constantly changing and being updated. Google, Yahoo, Bing, and other search engines are constantly updating and tweaking their algorithms to better serve users. Search engine users are also evolving, changing the way they use these services. As a result, the algorithms change, and search engine optimization has to change to keep up. In 2011, Google’s Panda update affected around 12 percent of search results. A year later, in 2012, the Penguin update changed the algorithm again. Perhaps one of the biggest changes in the last few years has been the trend towards mobile. The mobile update, or Mobilegeddon, appeared in 2015, which gave precedence to mobile-friendly webpages. In 2018, mobile-first indexing was rolled out. Why is search engine optimization so important? The statistics from SEO Tribunal tell the story here. Nearly half of all consumers conduct online research while they’re standing in a store. Most people kick off their online experience with a search engine, and half of all search queries are four or more words. These numbers convert for those involved in e-commerce. Almost 40 percent of all e-commerce traffic is driven through search. The majority of this is organic, while paid search ads account for about four percent of traffic. It’s clear users have a preference for organic search results. Between 70 to 80 percent of people ignore paid ads. In this situation, your SEO is incredibly important. Since consumers prefer organic search results to ads, SEO drives around 35 percent of your e-commerce traffic to your website. Ranking higher in a search engine’s results allows users to find your business and your website. Without SEO, you may be buried behind pages of other webpages. Your customers and new leads don’t discover you. Your brand can experience a significant lift if you appear in the search results. Keep in mind most people don’t make it past one or two pages of results, so you need to rank quite high for people to find you. If they can, your brand perception can be boosted by up to 30 percent. You’ll also find more high-quality leads. Search traffic has a conversion rate about 10 times higher than that of social media. Keep that in mind the next time someone tries to convince you the SEO budget is better spent on social media ads. SEO is probably more important for local businesses. 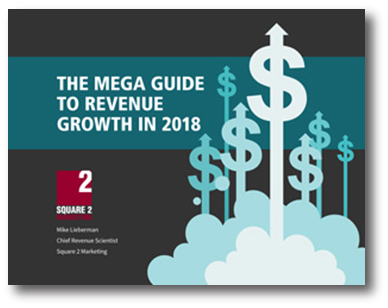 About one-third of all mobile searches are connected to location, and by 2021, mobile devices are predicted to influence about $1.4 trillion in sales. What’s more, local search is growing, representing nearly half of all Google searches today. SEO can help local businesses capitalize on these opportunities. If you haven’t already started using SEO services, you should consider it a smart move for your business.